Procrastination. As my five year old son likes to remind me on occasion because I have said it so many times, there are only two things that are certain in this world – death and taxes. It’s human nature to deny the fact that we will one day die. It happens to everyone. However, while death is not avoidable, some things are, i.e. unnecessary taxes, family strife, delays in distribution. Don’t keep putting it off. Do it now and enjoy the security of a plan made to withstand whatever this life throws at you. No Will or Powers of Attorney. Regardless of your situation, these are documents that every single adult needs – no exceptions. While the Will controls your assets and the potential guardians of your children, the Powers of Attorney control who can make decisions for you should you be incapacitated or unable to handle your affairs. Losing the Original Copies. This happens on occasion and it can be disastrous. When it comes to the Will – a copy is not the same as the original. If you only have the copy – the presumption is that the decedent destroyed the original and so the estate will pass as if no Will was ever created to begin with. For those who gave specific bequests to certain people – this can be a very troubling situation when they prove to be ineffective. Not Funding the Trust. When this happens, it can be frustrating to everyone but especially to the wishes of the client. A suitcase is only serving its purpose when it is packed full of belongings. If the trust is not funded, it is worthless. Not following through with this process can be devastating to your wishes and your family. Not Updating Your Beneficiaries. 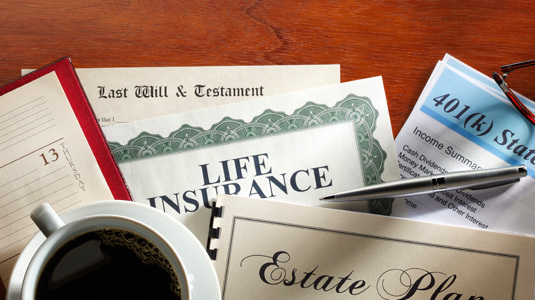 While no one wants to consider the possibility of their spouse or children predeceasing them, that is exactly what you need to do with regard to contingent beneficiary designations on your investments, insurance, retirement accounts, etc. As life throws you curve balls that are unpleasant and completely unexpected, you need to keep in the back of your mind that each one of the bumps in the road can have a significant impact on your estate plan. Not Accounting For Family Dysfunction. The philosophy of “Well, I won’t care because I will be dead. Let them work it out…” is a terrible philosophy to go by when it comes to leaving things to your kids. If your family has dysfunction or disharmony – you need to think about this and plan accordingly. If you hate it that your kids fight while you are alive – it will be ten times worse when you die without leaving a plan that clearly establishes your wishes.